Oh baby, are we into omegas! As research continues to stack up as to why these fatty acids are so beneficial, our quest to find the best source for loading up on omegas continues to grow. Enter flaxseed and fish oil. While one is vegan, vegetarian, and the only plant-based source of fatty acid, the other boasts two mighty omega-3s for the price of one. So which oil is best and how can you include them in your daily diet? Here’s a deeper dive into these superfood supplements. Flaxseed oil is a source of omega-3 fatty acid—including alpha-linolenic acid (ALA), an essential fatty acid that can only be acquired through diet—that’s made by pressing dried, ripened flaxseed. As the only fatty acid derived from plants, flaxseed oil is a favorite source of omegas amongst vegans and vegetarians especially. From softgel supplements to cold-pressed oil, it’s easy to incorporate this omega-rich powerhouse into your daily diet. The oil itself has a pleasant nutty taste, making it a great swap for (uncooked) EVOO in many recipes. Try it in salad dressings, drizzle over popcorn, or use it in veggie dips. You can even add a tablespoon of flaxseed oil to smoothies or protein shakes for a fatty acid boost. What’s the difference between flaxseeds and flaxseed oil? While both flaxseed and flaxseed oil are sources of omega-3s, flaxseed also contains dietary fiber and lignans (a phytonutrient that acts as a natural antioxidant). Flaxseed oil, on the other hand, does not contain protein or fiber and offers less lignans (roughly half the amount). Some may argue that flaxseed oil is not a “whole” food since it’s processed (through cold pressing) into oil. However, flaxseed oil has a greater bioavailability of omega fatty acid ALA than flaxseed, making it a nutrient-dense pantry staple. Taking 4-5g (less than a tablespoon) of flaxseed oil a day will provide enough ALAs to fulfill your daily recommended intake, but many suggest taking as much as 8g per day to enjoy its full benefits. Still, it’s a good rule of thumb to work your way up from 1 to 2g a day at first to see how your body responds. As with any supplement, consult with your doctor before taking. Can you cook with flaxseed oil? Rub a coat of oil into the pan. Place the pan in the oven and set to its highest degree (500°F for example). Keep the kitchen area well ventilated. Cook for 1 hour. Turn off oven and keep pan in oven as it cools. Remove and repeat for six rounds. Flex your flaxseed oil know-how with these superfood oils. 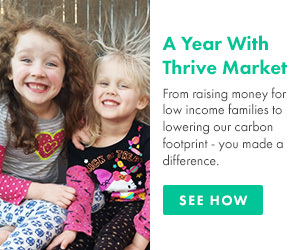 Cold-pressed, certified organic, and non-GMO, this unrefined oil is packed with nutrients and formulated for purity. Support heart, skin, and immune health while getting your daily dose of omega-3s with our premium-grade supplement. Add it to soups, salads, or smoothies, this Certified Organic, triple-filtered oil includes rosemary and vitamin E to maintain freshness. 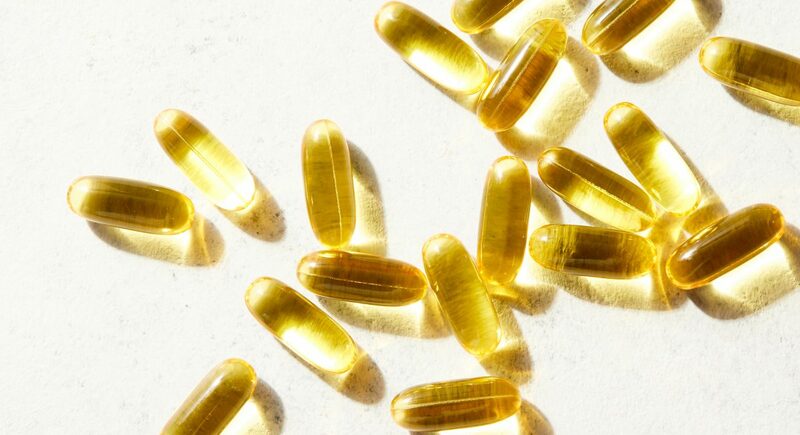 As the name suggests, fish oil is obtained from fish that are rich in two forms of long-chain omega-3 fatty acids: eicosapentaenoic acid (EPA) and docosahexaenoic acid (DHA). The fish produce these nutrients by eating algae, krill, or other plants that produce omega-3 fatty acids. While fish oil is therefore not vegetarian, it’s a go-to supplement for those that eat fish because of its high, twofold omega content that can’t be sourced through plants. Fish oil is traditionally consumed as a daily supplement in either liquid or softgel form. However, some complain that incorporating fish oil into a daily supplement routine can also bring about a nasty side effect: fishy burps. The good news? There are tricks to limiting this digestive unpleasantness such as keeping your capsules in the freezer (it will take your digestive track longer to break it down), taking a spoonful of a flavored variety of fish oil before brushing your teeth, taking the supplement with food, or taking a digestive enzyme with your daily dose. Depending on the amount of DHA and EPA offered in your fish oil supplement, most organizations recommend aiming for at least 250-500 mg combined EPA and DHA each day. 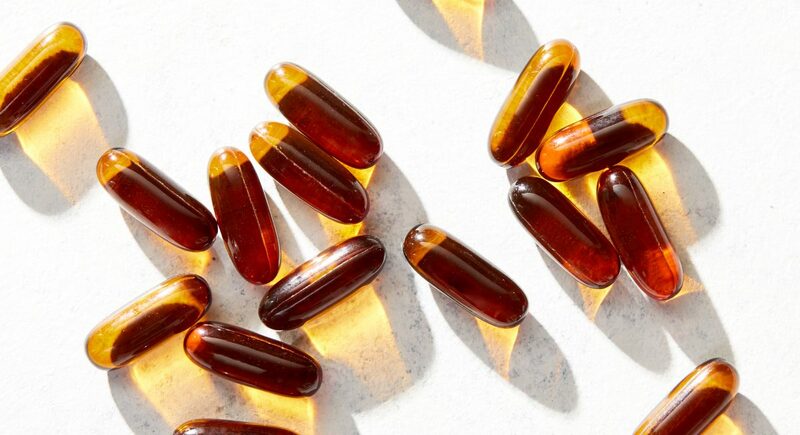 Consult with your doctor before adding fish oil to your daily routine. Dinnertime. Why? Studies suggest taking fish oil before bed can promote better sleep and taking it with food can help prevent possible digestive discomfort that can accompany taking an omega-rich supplement. Can you cook with fish oil? No. Because of its high concentration of polyunsaturated fats, which can oxidize and form free radicals under high heat, fish oil should never be used for cooking. Instead, consume it as a dietary supplement and store in your fridge to extend its shelf life. 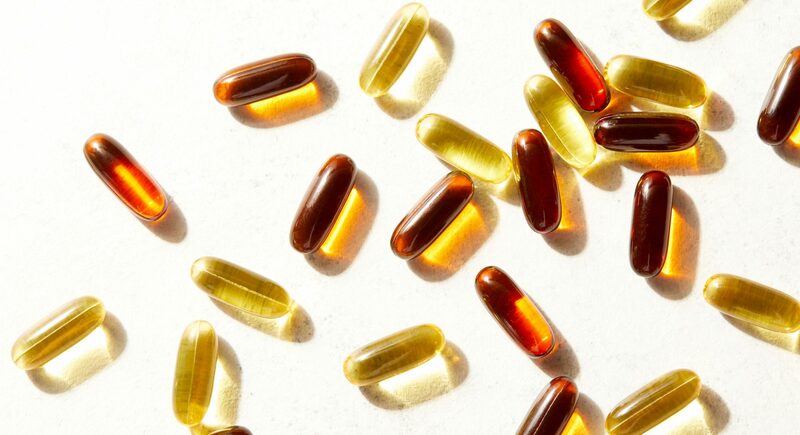 Consider your wish for fish oil granted with these coveted favorites. Not only does this this zesty oil deliver 720mg of EPA/DHA per serving, but the bright, fresh lemon flavor helps nix the fishy taste. Sourced from wild-caught anchovies, sardines, and mackerel, each softgel contains 1000mg of fish oil, along with 180mg of EPA and 120 mg of DHA per serving. A serving of these prenatal softgels imparts, sourced from wild Alaskan salmon, provides 17 omega fatty acids to help support healthy brain and vision development. This sustainably sourced fish oil has an award-winning lemon flavor, which makes it a winner with the kiddos.